Faerias Kernadeel. 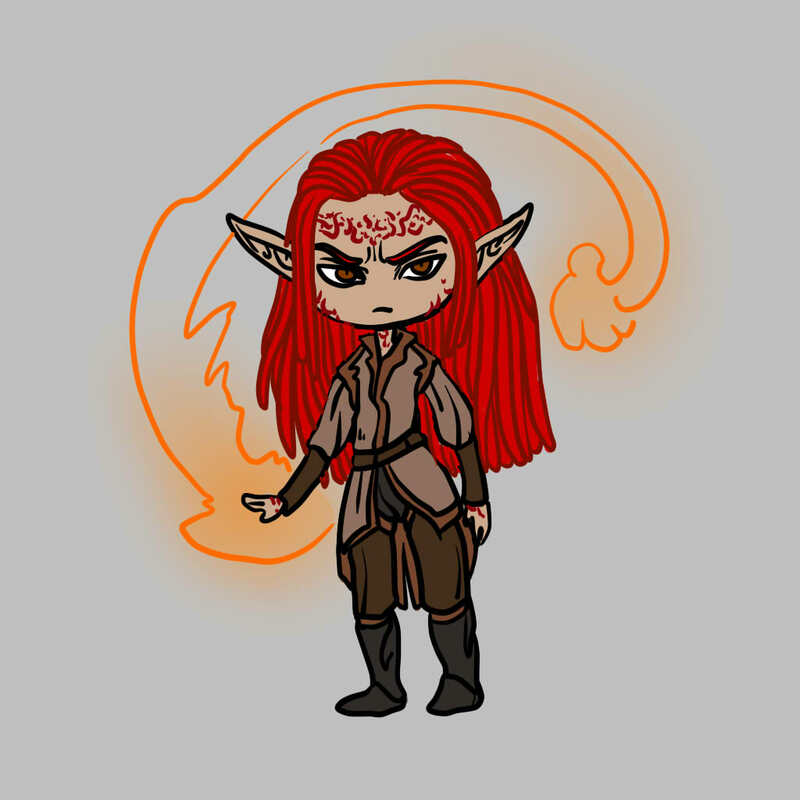 The best example of a fire elven mage. Arrogant, insensitive and always drunk.